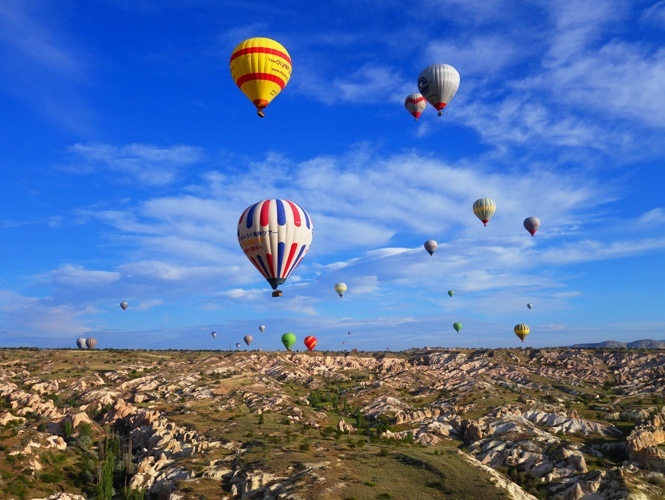 One of the highlights of my trip to Turkey in May was a balloon flight in Cappadocia. 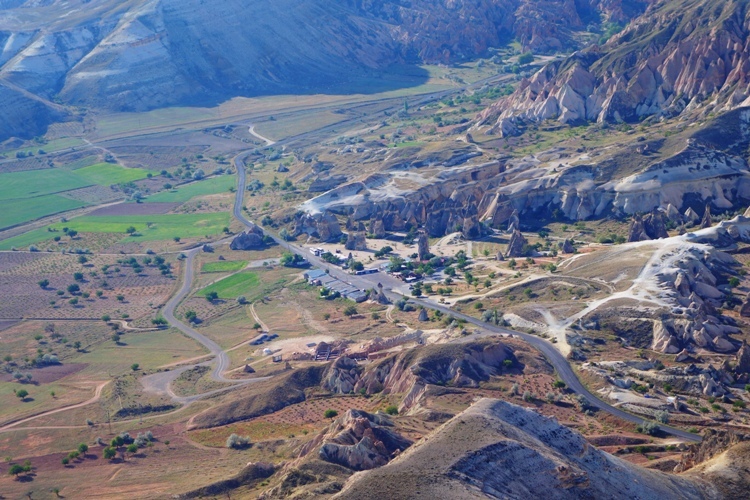 You can see more about that day of my trip in Cappadocia to Antakya. I will start this post off with the same picture my previous post started with. Mainly because it is one of my favorite pictures. 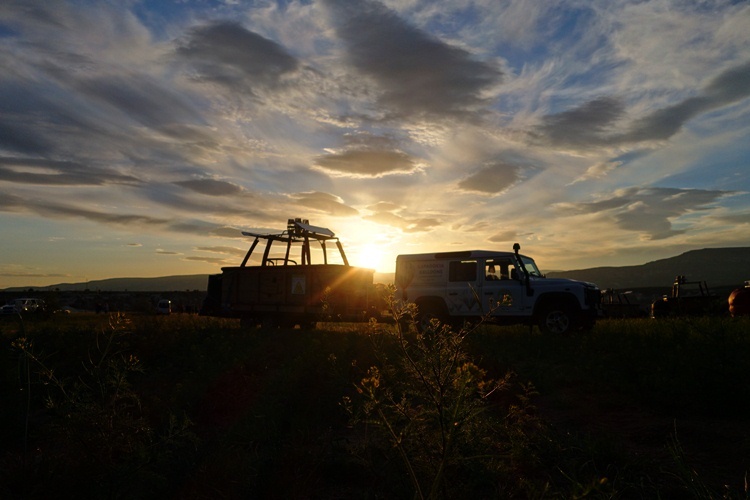 We had hoped that we would be taking off at dawn, but the wind was blowing too hard. We were originally scheduled for the day before, but the conditions were even worse and we didn’t even make it to the launch site. We were anxiously waiting and then the word came that we would be taking off. 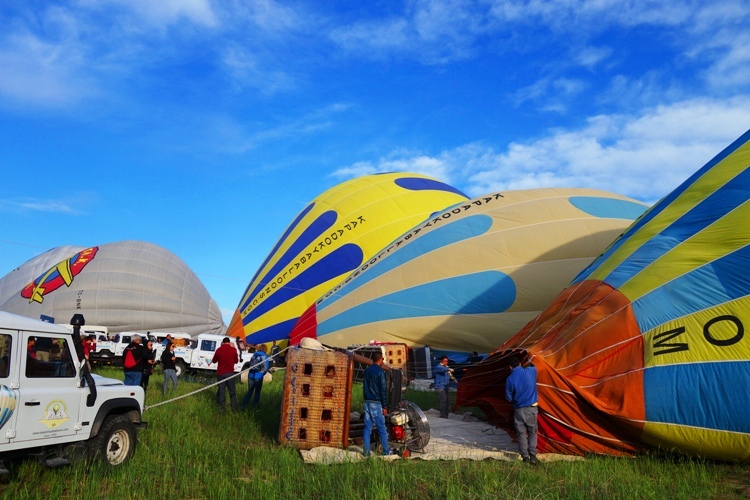 The baskets were soon laided on their sides and the inflation of the balloons began. The three balloons on the right were all from the balloon company we were floating with. Here we are finally ready to launch. I was a bit nervous since I am a bit leery of heights and this was the first time to go up in a balloon. I would definitely do it again. You can see the gas burning above me as it warms up the interior of the balloon. We were one of the last balloons to take off so we could see many of the balloons floating ahead of us as we left the launch site. The sky was so beautiful with all the balloons suspended in the air as they floated gracefully along. We moved along slowly and it was so peaceful and quiet. The view was absolutely beautiful as we drifted above the amazing rock formations of the area. Here are some of the interesting rock formations that we drifted over. It also looks like it had snowed, but that is the color of the underlying rock in some areas. 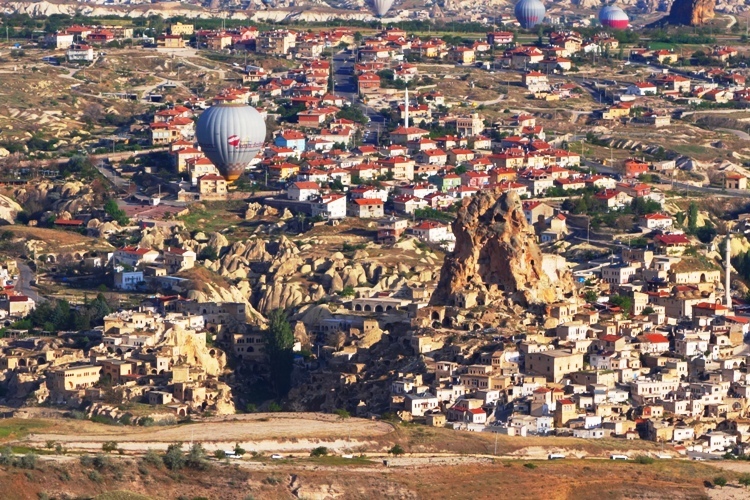 We drifted past Ortahisar, which is where we stayed in Cappadocia. 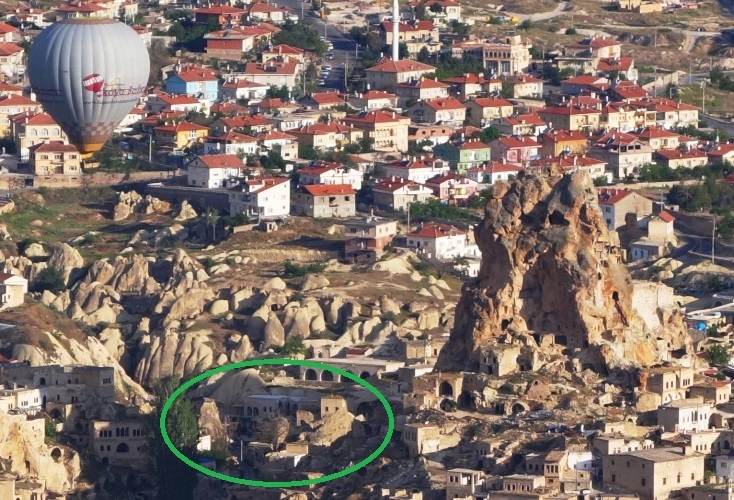 The large rock formation on the right is known as the Ortahisar Castle and has many rooms cut into it. We could also see our hotel as we drifted by. I have zoomed in on the picture above to show where our hotel was. 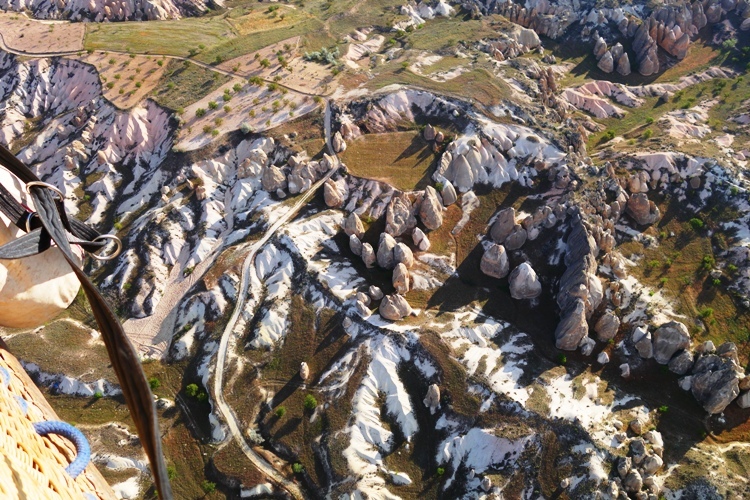 Here is another view of the beautiful rock formations in Cappadocia. The sun really lights the rock formations up. I really like the interplay between the light and shadow in this picture. What was really interesting was to see things from above that we had seen from the ground. In the center of this picture you can see the Fairy Chimneys that we had visited the day before. We were soon on the ground and were celebrating the completion of our flight over some of the most unique scenery in the world. 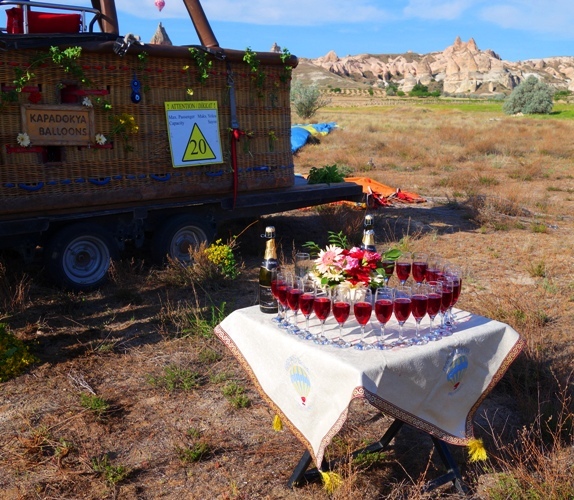 We all had a toast with the wonderful Cherry Juice that they have in Turkey. Then it was off to board the bus for our trip to Antakya. Definitely a day that I will remember. 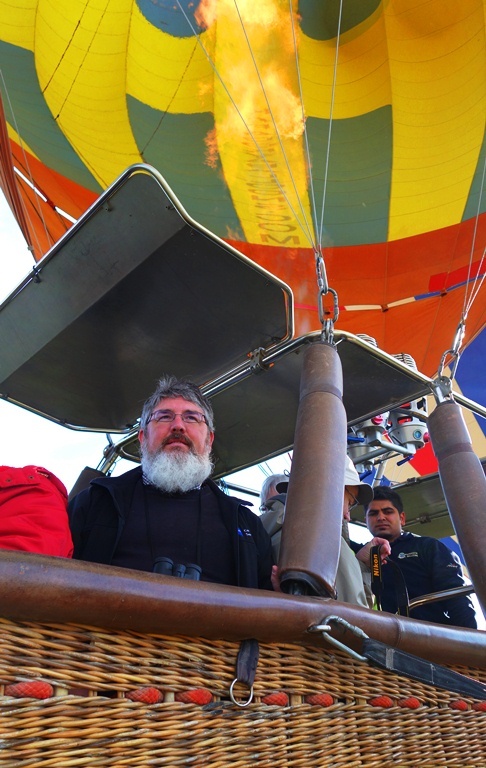 Have you been on a Balloon flight? 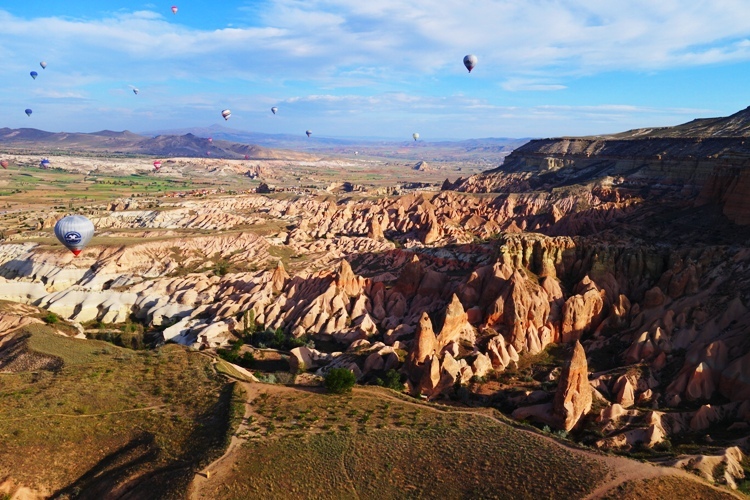 This entry was posted in Culture, Memories, Travel, Turkey and tagged Balloon Flight, Cappadocia, Cave Hotel, fairy chimneys, Goreme, hot air balloon, Ortahisar, rock formations, scenery. Bookmark the permalink.